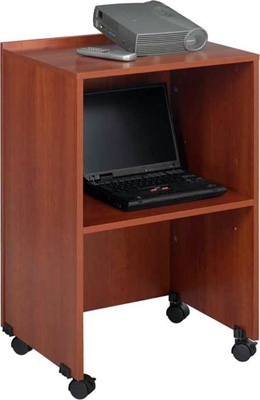 Used alone, the Lectern Base/Media Cart is ideal for TV/VCR or projectors and features a 19-1/2"W x 15-3/4"D shelf. It rolls easily to point of use on four swivel casters (2 locking). Use with Lectern Top (Model 8916) to form a 45"H mobile lectern with storage.